Visit our Facebook page throughout the day for fun Fishline facts, client and volunteer stories, and updates to share! Visit our page at Kitsap Great Give HERE ON April 23rd between 12am and 11:59pm and donate! SHARE! SHARE! SHARE! Share this post, our Facebook posts, our Instagram posts, and our Twitter posts with all your friends and followers ANYTIME during the day on April 23rd! This week’s most needed items: cereal, meat, ramen, pasta (other than mac & cheese), diapers (size 5 & 6), yogurt and decaf coffee. ATTENTION ALL CLIENTS: Our 2019 Re-Registration Deadline has been extended until March 15, 2019. To ensure that Fishline’s recent inclement weather closures do not prevent you from meeting the 2019 re-registration deadline, we have extended the re-registration deadline to March 15, 2019. Remember to bring in your proof of residency and complete their registration paperwork before March 15. Please ask if you have questions. This process is needed to update your information in our system, assure residency in our community and procure your signature needed for compliance. We’re here to help you, so let us know if you have difficulties, questions or concerns. Volunteers will be available in the CSC, 2nd floor, to assist with the re-registration process. HOW IT WILL WORK:Only local clients need to re-register. Local clients are those who live in Poulsbo, Keyport, or Suquamish.You can re-register any time in February. If you are unable to re-register by March 1, your household will be considered “out of area” until re-registration is completed.If you are a local client, you will be asked to complete a new registration form, provide a picture ID and proof of residency (see chart below).We will ask that you do not reregister until you can provide picture ID and residency proof.If you are having difficulty providing residency, please see our Client Services Advocate for assistance.Please keep your registration receipt with you until you know your registration is complete and has been entered into our computer.Once you are re-registered, no other registration is needed until next year! And Fishline is looking for gardeners! Love to get your hands in the dirt? 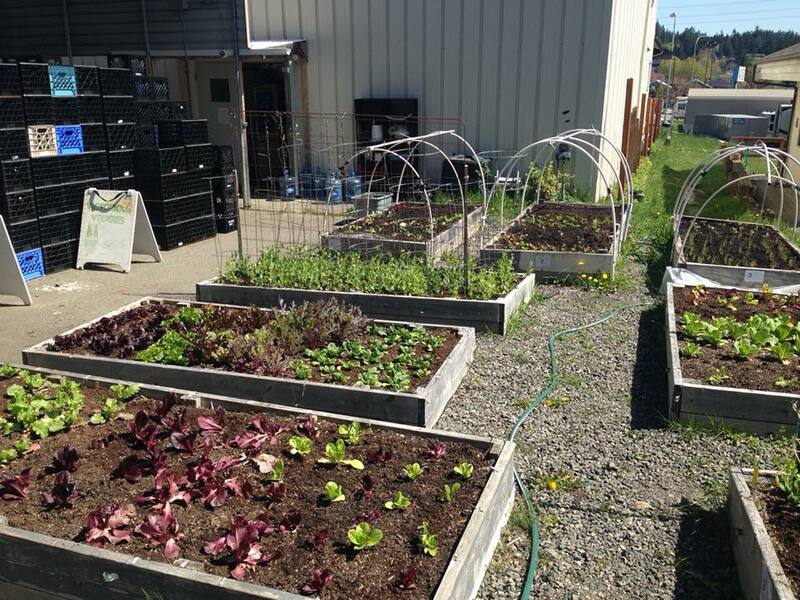 Come help us grow fresh vegetables for the food bank – starting in March! They’re located right here at Fishline. Water, hoses, tools, seeds, compost and more are all provided. A Garden Coordinator is on-call for any support you might need. Harvesting should be done during food bank hours, so freshness is preserved. This is a great opportunity for youth groups, Scouts, church groups and EVERYONE. Gardening classes and work parties! Join us for our first garden work party on Sunday March 10th at Noon.You will meet Allie B, our lead volunteer and lend a hand in cleaning up and refreshing the beds for spring. It’s also the perfect opportunity for you to ask as many questions as you like about the details and commitment of working with the on-site garden beds. Please bring your own garden gloves and dress for the weather of the PNW.